People love period dramas. The most recent mega-successful example of the genre is Downton Abbey, which has captivated British and American audiences alike. However, Downton Abbey is far from the only good period drama worth watching. And, as it’s only available on Netflix in Canada, Australia, and Japan, you’ll probably want to know what other period dramas are out there. Here’s our list of the best period dramas available to watch on Netflix right now. The Duchess is a 2008 drama about English aristocrat Georgiana Cavendish, the Duchess of Devonshire. Keira Knightley takes the lead role. She is ably supported by Ralph Fiennes, Hayley Atwell, Charlotte Rampling, and Dominic Cooper. The plot takes you on a journey through the Duchess’ loveless marriage, the sexual double-standards of the time, and the poor treatment of women in the 18th century. 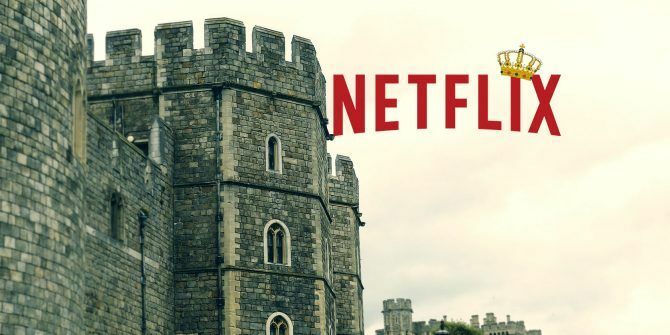 The Crown is one of the best Netflix originals 10 Awesome Netflix Originals You've Probably Never Heard Of 10 Awesome Netflix Originals You've Probably Never Heard Of Alongside the headline-making shows such as House of Cards and Stranger Things, there are countless Netflix originals that may have passed you by. Read More . It tells the story of the life of current British monarch, Queen Elizabeth II. The first season starts in 1947 when Elizabeth marries Prince Philip and ends with Princess Margaret’s engagement to Peter Townsend in 1955. As the series progresses, the modern day comes into focus, making it less of a period drama. The fourth season features the election of Margaret Thatcher in 1979. For the fourth show on our list, we depart European shores and head to 17th century colonial Mexico. Juana Inés was one of the most important figures in both the Spanish Golden Age and Mexican classical literature. She was a nun, scholar, poet, and philosopher who won plaudits for battling the entrenched dominance of men in the religious and scientific worlds. This seven-part series is filmed in Spanish, so make sure you turn on the subtitles or learn Spanish using these free apps The 8 Best Language Learning Apps That Really Work The 8 Best Language Learning Apps That Really Work Want to learn a language free? These are the best free language learning apps that will have you speaking a new language before you know it. Read More . Let’s stay in the Americas. When Calls the Heart tells the story of Elizabeth Thatcher, a young Canadian woman who leaves high society to become the only teacher in a small coal-mining village on the west coast of the country. The series starts in 1910, and there are five seasons for you to enjoy, along with three Christmas specials. Erin Krakow takes the lead role, with Daniel Lissing being the main supporting actor. The British royal family perfectly lends itself to period dramas, and The Tudors is the second show on the list that uses them as inspiration. This show takes you back to 16th-century England and the reign of Henry VIII. The four series each cover an important aspect of the king’s life. His fallout with the pope, his marriage to Anne Boleyn, the reformation revolts, and the siege of Boulogne all enjoy ample coverage. The Tudors received a Golden Globe nomination for Best Drama Series in 2007. The 1800s were a unique time in Britain. The century began with the industrial revolution taking hold across the north of the country and ended with Queen Victoria leading the largest empire in the world’s history. North and South takes place in the middle of the century, around the time of the Great Exhibition in 1851. The show is based on the 1855 book of the same name by Elizabeth Gaskell. The plot follows Margaret Hale, a wealthy southerner who moves to the industrial north. Stories about class and gender are a recurring theme, as is Britain’s increasingly dominant role in the world. Are you getting fed up with shows set in Britain? Then let’s head to Turkey. Magnificent Century is about Suleiman the Magnificent, a 16th century Ottoman Sultan. His 46-year reign saw the pinnacle of the Ottoman Empire. He built an empire larger than Alexander the Great that stretched from modern-day Vienna all the way to the Sahara Desert in the south and the Persian Gulf in the east. Magnificent Century ran for four seasons before eventually ending in 2013. But it’s all now available to watch on Netflix. We’ll continue the list back in Victorian Britain. The Paradise is set in the country’s first department store in 1875. It uses Émile Zola’s novel Au Bonheur des Dames for inspiration. In many ways, it’s a traditional rags-to-riches story. A Scottish woman called Denise Lovett arrives at the store and is immediately considered to be a rising star by the owner, John Moray. The story follows her battles with her co-workers, her fascination with the luxury of modern life, and her feud with the daughter of the shop’s benefactor who wants to marry Moray. The series ran for two seasons and 16 episodes. Peaky Blinders offers a grittier storyline than some of the other dramas in this list. Set in the post-World War One era, it follows the lives of a notorious street gang from Birmingham in the U.K.
With its heavily atmospheric cinematography and unique visual style, the show has won numerous awards. Cillian Murphy plays the lead role. So far, there have been four series. Three more series have been confirmed by the BBC, with the show set to culminate when the first air raid siren of World War Two goes off in the city. To the Ends of the Earth is a three-part BBC series. It is based on William Golding’s trilogy of novels of the same name. The series uses British ships taking migrants to Australia in the early 19th century as inspiration. Released in 2005, it received critical acclaim at the time. It was one of Benedict Cumberbatch’s first lead roles and provided him with a springboard for international stardom. Call Me Francis chronicles Pope Francis’ rise as a religious leader during Argentina’s Dirty War between 1974 and 1983. The war saw 30,000 people disappear, the majority of whom were never relocated. The series begins with the future Pope living as a Jesuit in his hometown and ends with him negotiating deals between the government and the armed uprising. Call Me Francis consists of just one season and four episodes. And it’s in Spanish, so again, you’ll probably need to use subtitles. For those who don’t know, the Hatfields and the McCoys were two feuding families in the West Virginia region in the mid- to late-1800s. The three-part US TV series tracks their fights, arguments, and court battles. It was produced by The History Channel, marking the network’s first foray into the world of scripted dramas. Hatfields and McCoys won three Emmys after its release in 2012. Period dramas are more popular than ever. In this article, we’ve only scratched the surface of what’s available on Netflix. If you’d like to do your own research, try using Netflix’s secret codes. The code for “Period Pieces” is 12123. And if you have enjoyed our period drama recommendations, make sure you check out some of the other genres we’ve previously covered. To get you started, read our list of the best British crime dramas and the best Nordic dramas. And if you’re a fan of period dramas, chances are you’ll also enjoy these musicals you can watch on Netflix. 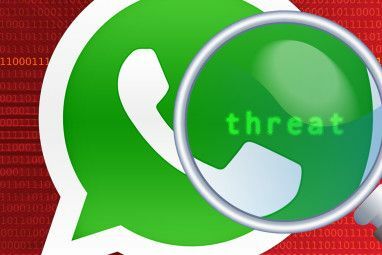 Explore more about: Media Streaming, Netflix, Television, TV Recommendations. unfortunately, the Magnificent Century only has 1 season for streaming.